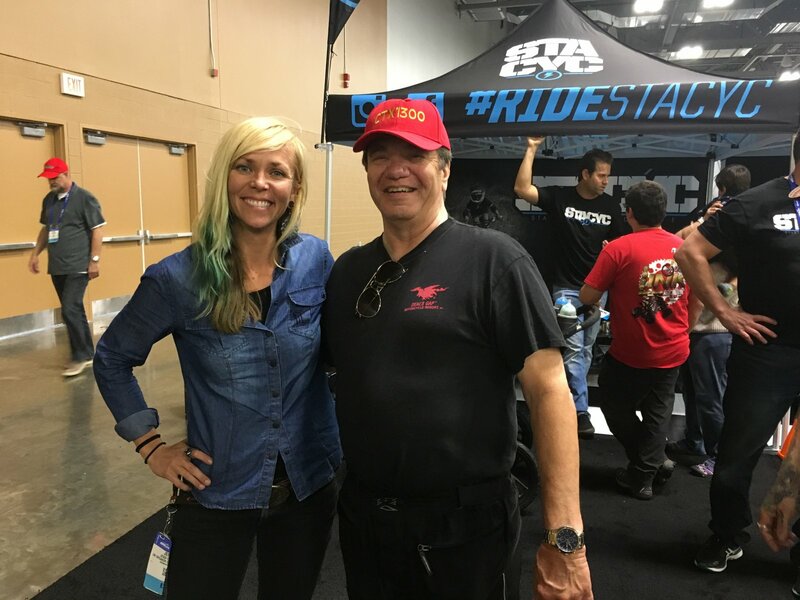 While at a large motorcycle expo here in Columbus, Ohio look who I ran into! For those that are gear heads and watch the Velocity Channel know who this is. I would have never believed I would ever meet her. I caught up to her while she was trying to do wheelies on electric mini bike motorcycle. Typical Jesse. She is currently pursuing her racing career riding motorcycles in induros type racing out in the desserts.